Over the past several decades, expanding coastal development has reduced and fragmented the Miami Blue's habitat, leading to a catastrophic decline in its overall range. 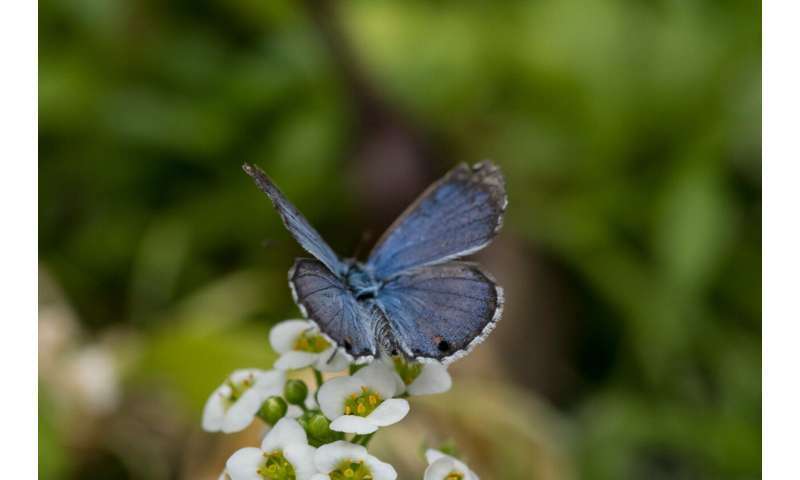 Today this endangered species is one of North America's rarest insects, with only two or three small populations left on remote islands in south Florida. 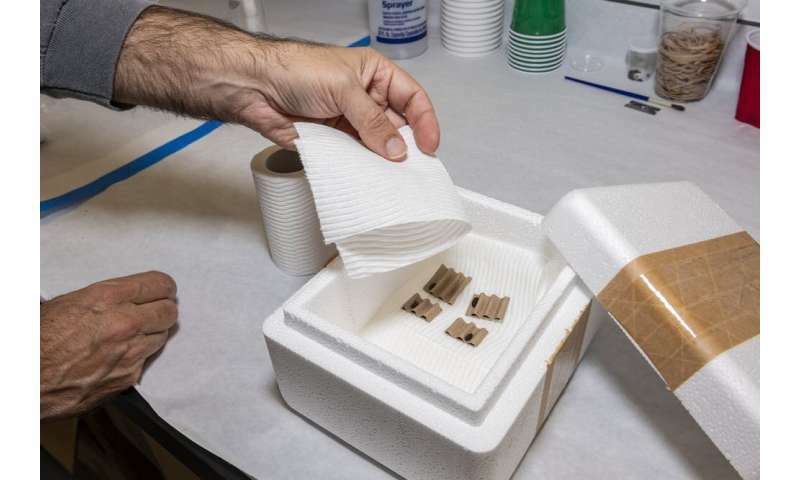 Our facilities in Gainesville are more than 450 miles from the Lower Florida Keys, where we release the butterflies, so packaging them safely is critical. 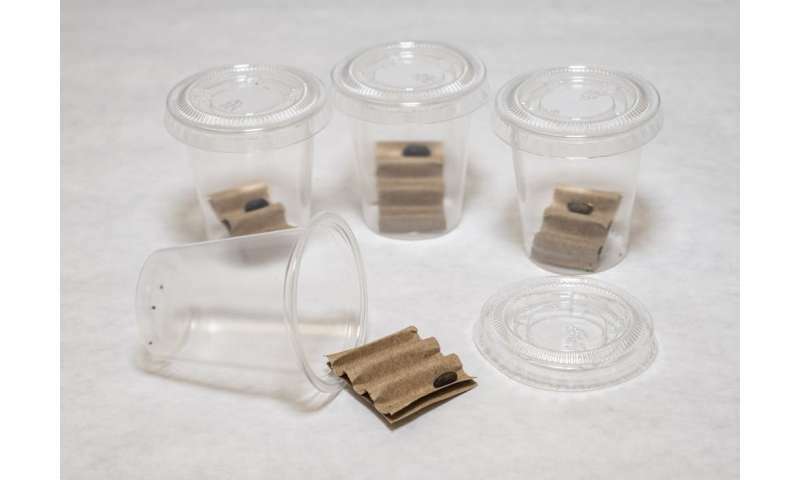 When larvae in the lab are nearing maturity, we put a square piece of corrugated paper in each shot cup because we've learned through trial and error that nearly all of them will helpfully transform themselves into a pupa, or chrysalis, within the tight grooves of the paper. This makes handling and moving them much easier. 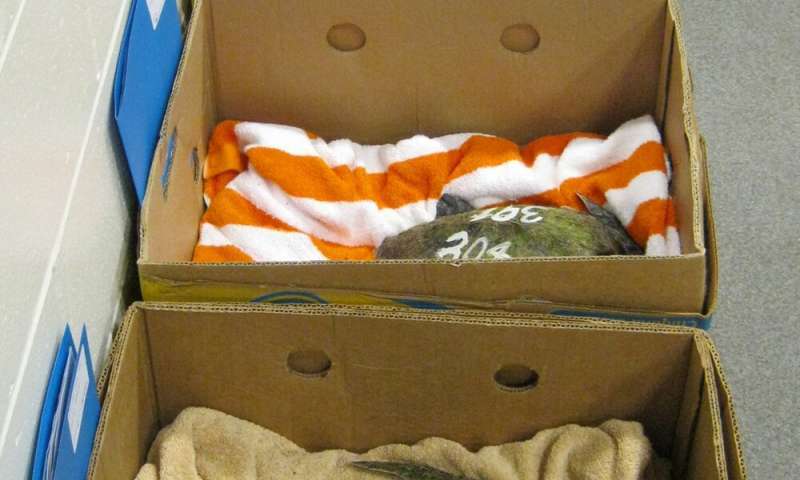 In Massachusetts, for example, volunteers and staff at Mass Audubon's Wellfleet Bay Wildlife Sanctuary partner with the New England Aquarium, Turtles Fly Too, NOAA Fisheries, and sometimes the U.S. Coast Guard to transport turtles to and from the New England Aquarium's veterinary hospital – sometimes by vehicle, sometimes by plane. Turtles are ectothermic, or "cold-blooded," animals whose body temperature changes with the environment around them. This means we need to avoid exposing them to temperatures that are too warm or too cold during transport, and sometimes we need to keep them at a specific temperature. At the New England Aquarium, we frequently receive sea turtles that have stranded on beaches after exposure to cold water, which "cold-stuns" them, making them lethargic and slowing their heart rates. Warming them too quickly can be deadly, so we move them in vehicles kept at 55-60 degrees. Later, when they have been rehabilitated and are ready to be released, we transport them to warm-water release sites in cars, trucks or planes warmed to 75 to 80 degrees. 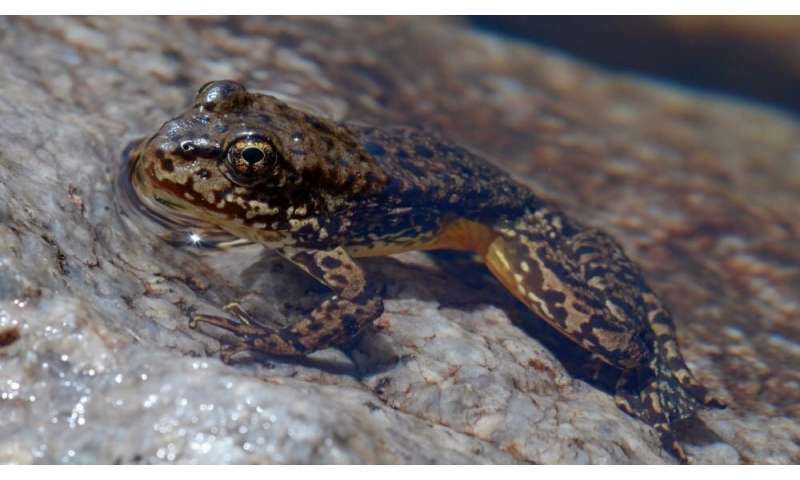 Mountain yellow-legged frogs (Rana muscosa and the closely related Rana sierrae) once were common in lakes, ponds, and streams in California's Sierra Nevada mountains. They were remarkably abundant for millennia, but declined steeply over the past 150 years, after humans introduced nonnative and predatory trout into historically fishless habitats and a virulent pathogen, the amphibian chytrid fungus, spread through the region. To initiate a translocation, we capture adult mountain yellow-legged frogs from healthy populations using hand nets. After weighing and measuring them, we insert a tag the size of a grain of rice that carries a unique identification number, like those used for domestic pets, under each frog's skin. Then we place the frogs individually into small cups with perforated lids for ventilation, and load the cups into larger canisters that we carry on backcountry trips to protect our food from bears and other creatures. Finally, each loaded canister goes into a backpack. And then we walk. The terrain is usually a jumble of boulders, snow and trees, but we know the route and wend our way as quickly as possible to the reintroduction lake. When we arrive, we gently unpack the frogs and release them at the water's edge. Surveys conducted during the past several years show that their numbers are increasing in Yosemite National Park – a hopeful sign that recovery is underway.